Along the foothills of the Blue Ridge Mountains, Charlottesville and Albemarle County offer a unique experience in a picturesque setting! Adventure in the forms of hiking, biking, paddling and camping await you in our gorgeous great outdoors. Delight in the finest restaurants, attend our events, stroll the brick-lined Downtown Mall or taste fruits and vino at our 30+ local orchards and vineyards. Make sure to toast to the area&apos;s most famous son, Thomas Jefferson. Today, his legacy lives at our two UNESCO World Heritage Sites: the grounds of his home, Monticello, and at the University of Virginia. 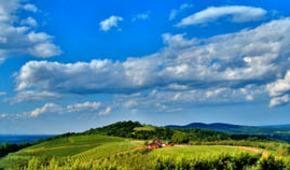 For more in-depth suggestions of things to do and see, check out our Visit Charlottesville Blog.